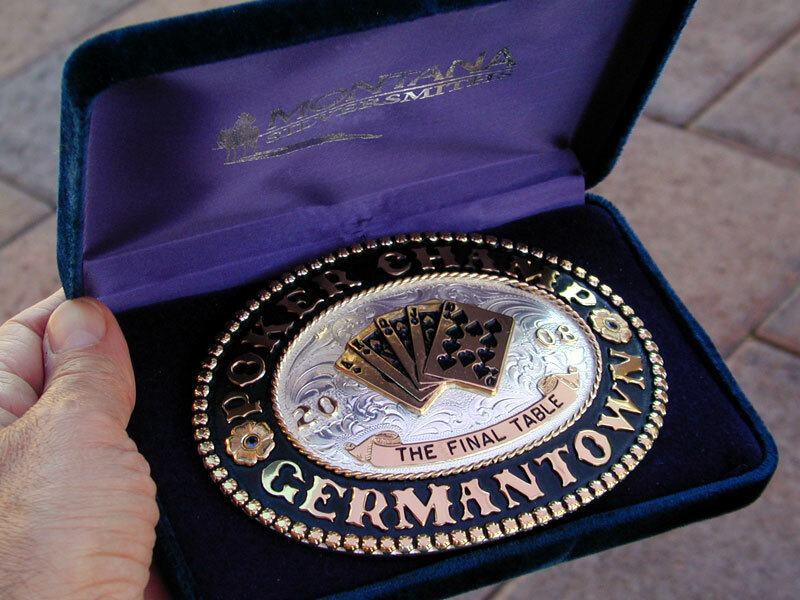 Custom trophy belt buckle from Montana Silversmiths. Round oval shape with silver western bright cut background, painted background accents, gold filigree and florals. Click image to enlarge. 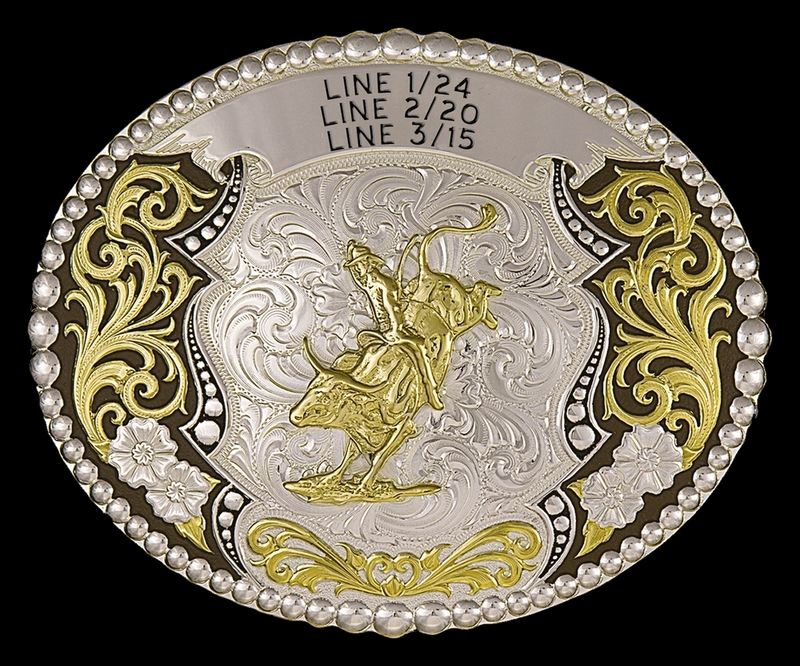 Features three engravable ribbons and stones option. Shown with 205 bull rider and black background color. Fits standard 1 1/2" belt or smaller. 4 1/2" x 3 5/8". Please allow 4-6 weeks to ship.